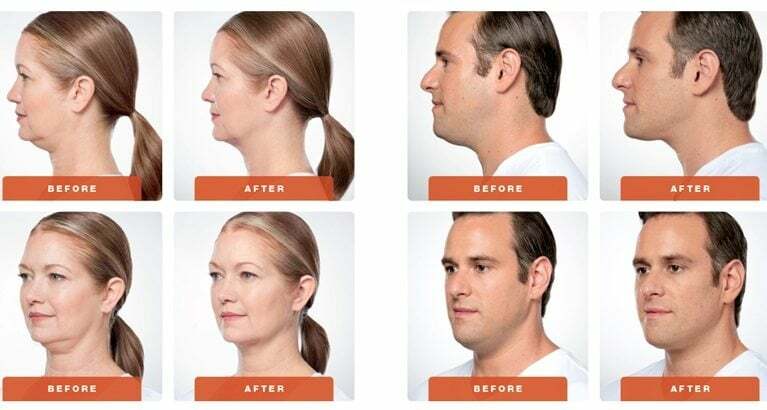 Kybella® is a chin injection composed of deoxycholicacid that can reduce the appearance of submental fat, otherwise known as a double chin.Through over 20 global clinical trials, Kybella® has been proven to be safe and effective for those over the age of 18 when applied to the upper neck/chin area. Currently, Kybella® has been used in over 2,600 patients worldwide, including many in Southington, Connecticut, with that number growing more every day. 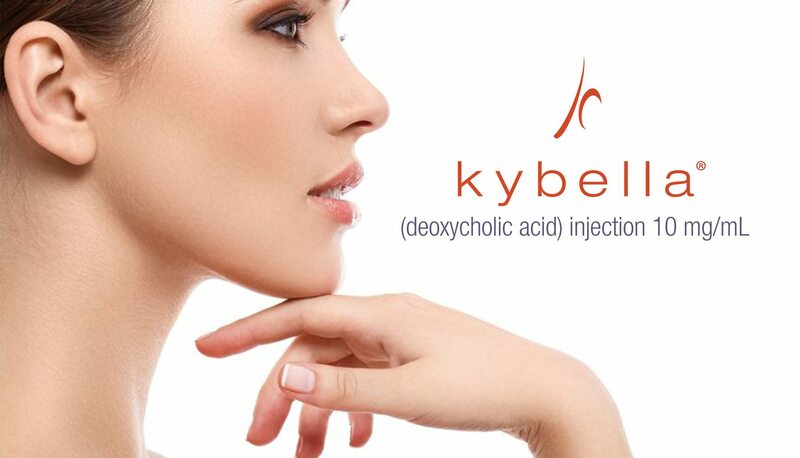 Each Kybella® chin injection contains deoxycholic acid, which is a molecule that is naturally found in the body. Its mission is to help the body breakdown and absorb fat cells. When it is injected directly into an area of fat cells, such as below the chin, it will eat away at these cells. Once Kybella® reduces the fat cells, they are no longer able to store or accumulate fat, so over time your submental fat will dissipate. One thing about Kybella® that our Southington, CT patients love is that the chin injection only targets the fat cells, so all the other cells remain healthy and intact. When you visit our Southington, Connecticut, medical spa for your Kybella® chin injections, plan on being in our facility for about an hour. However, unlike other facial injections, Kybella® is reported to cause swelling and bruising, so plan the rest of your day accordingly. The swelling should go away within a week, and the bruising within two—but we promise it’s worth it. Once you have achieved your desired look, the results of the Kybella® chin injection should last since the fat cells are physically destroyed. That being said, most people require several sessions to achieve their desired appearance. We can perform a new Kybella® chin injection every other month, and most of our Southington, Connecticut, patients only need two or three sessions to achieve the slimmed down look they are after. A Kybella® chin injection requires precision to be safe and effective, and that is exactly what we have to offer at Re:Nu 180 MedSpa in Southington, Connecticut. We believe in getting to know you and your beauty goals and administer Kybella® chin injections accordingly. To ensure your experience at our medical spa is a positive one, we have created a calming, spa atmosphere that will help you unwind and relax as you get your Kybella® chin injection. Also, all injections are preformed by our expert medical director, Christina Baden. Finally, we guarantee that our Kybella® chin injections will be mixed with precision for optimal results, and you will only pay for the specific amount of Kybella® that is necessary for the treatment area.